Looking for the best things to do in summer in Korea? 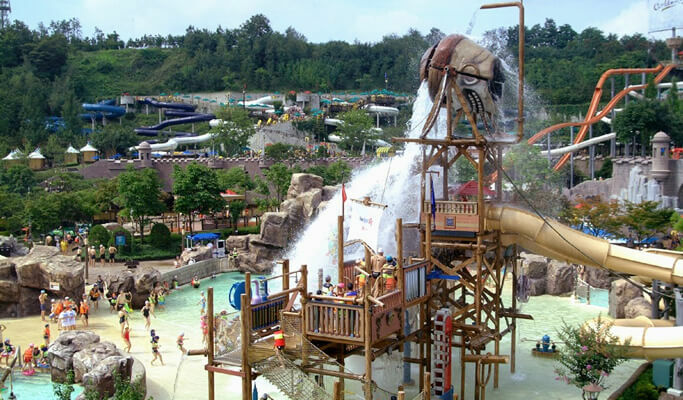 Head over to Caribbean Bay Water Park, the most popular water park in Korea, which offers nonstop excitement and thrills! 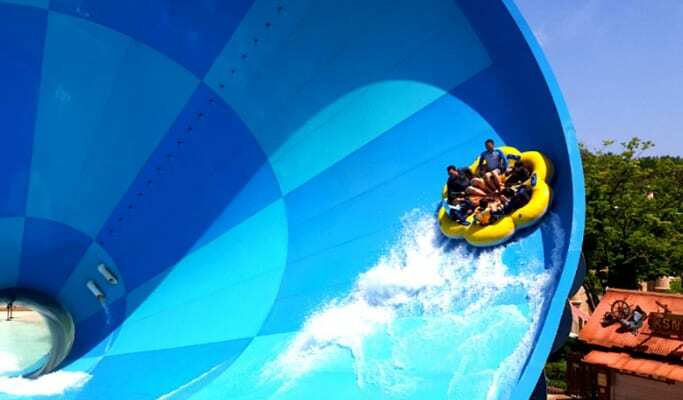 If this is your first-time visit and have no idea what to ride and experience, here we’ve picked 3 great water slides you absolutely must try at Caribbean Bay Water Park. From 36m above the ground, your adventure begins on Mega Storm in a 6-person tube. With 3 times of steep drops and surges, you can experience a zero gravity – all in just 1 minute. And the highlight is? A funnel-shaped large Tornado that makes you feel as if you’re swirling in a real tornado! Another water slide you must try at Caribbean Bay is Tower Boomerang Go. It is a fast-paced ride, which falls from a Pirate Watchtower and then rises up toward a 19-meter hill at a 90-degree angle. Imagine yourself falling from the height of a 5-story building. Yes, the Tower Raft will make your imagination true. Enjoy the rapid curves throughout this fun ride! 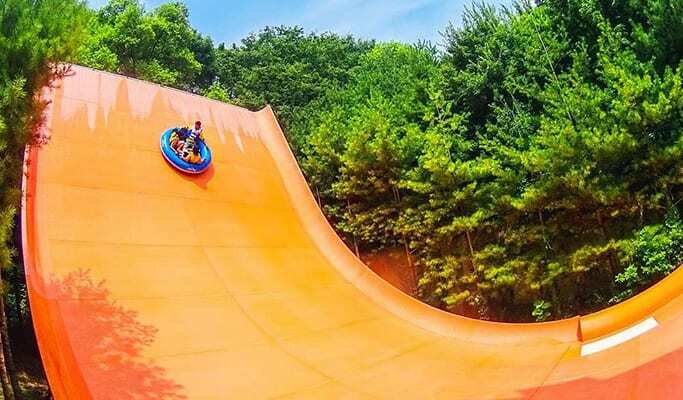 Besides these ultra-fun water slides, families, and friends can also enjoy a variety of swimming pools, including the Wave Pool, Aqualoop, Diving Pool, indoor pools and many more. 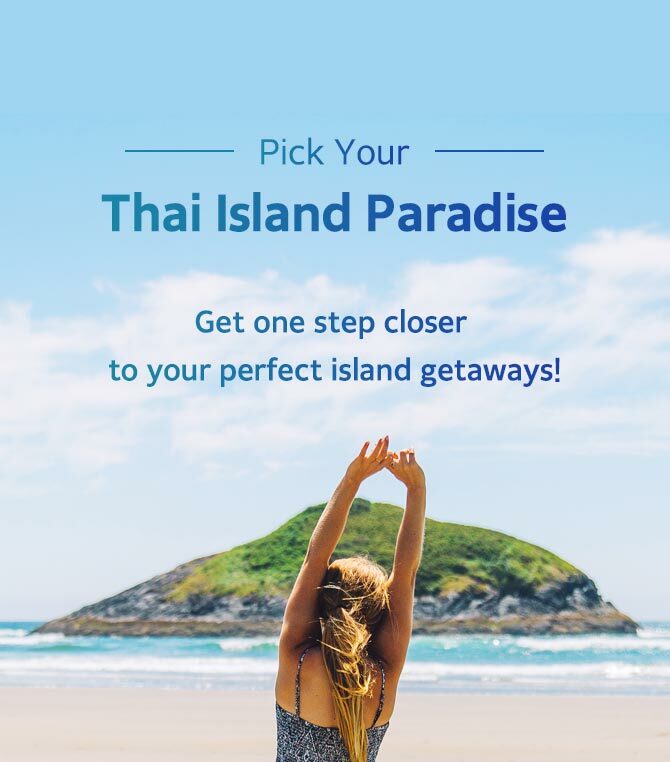 If you’re planning to hit Caribbean Bay Water Park this summer, don’t forget to visit Trazy.com, Korea’s #1 Travel Shop, to find the best Caribbean Bay deals. Next Post:Caribbean Bay Discount Ticket Promotion for Foreigners Only on Trazy! Pingback: Caribbean Bay Discount Ticket Promotion for Foreigners Only! This looks like a great place to visit!